Donald Trump says he wants to create American jobs, but he is cool to the idea of renewable energy, which he claims is “too expensive.” Don’t tell that to the US military, however. Last year, the Navy broke ground on a 4 megawatt (MW) solar array at the Naval Construction Battalion Center in Mississippi and the Army completed a large 30 MW solar array at Fort Benning, Georgia. Many soldiers deployed in Iraq and Afghanistan have seen first hand how human and economic resources are wasted to protect fossil fuel assets. After serving, they are also finding jobs in the solar industry. As it turns out, solar power has become cheaper than fossil fuels and solar jobs have been flying through the roof — a dozen or so times faster than overall US job growth. His experience led Johnson to believe that protection of fossil fuel assets would continuously put American soldiers in harm’s way. After his tour of duty, he committed himself to learning all he could about clean, renewable solar power. Now he runs CleanCapital, a renewable energy investment firm he founded with, among other partners, a fellow Army veteran. “The most challenging thing for veterans is that transition process and finding that same level of mission-driven culture in their professional careers,” Johnson says. “The solar industry, specifically, provides that.” Today, almost one out of every ten veterans have found jobs in the solar industry. Many like Nat Kreamer have formed their own companies. Kreamer is chairman of Solar Energy Industries Association. He is a former Navy officer who received a Bronze Star for his service in Afghanistan. Under his leadership, the solar sector has committed to hiring 50,000 vets by 2020. Reagan later sprang his “October Surprise ” just before the election in 1980. Even though Reagan claimed credit for it, the Carter administration had brokered a deal with Tehran for the release of the hostages, but secrecy was required to keep the negotiations from falling apart. Carter refused to break his promise to keep the talks private, even though it cost him the election. Storing electrical energy made from renewable sources like wind and solar power is the key to making renewables cheaper than fossil fuels. Solar and wind power are getting cheaper almost daily, but there needs to be grid storage to save it so it can be used when the sun isn’t shining or the wind is not blowing. It’s a concept known as “time shifting” in which electricity generated at 3 in the afternoon can be stored for use later at 3 in the morning. 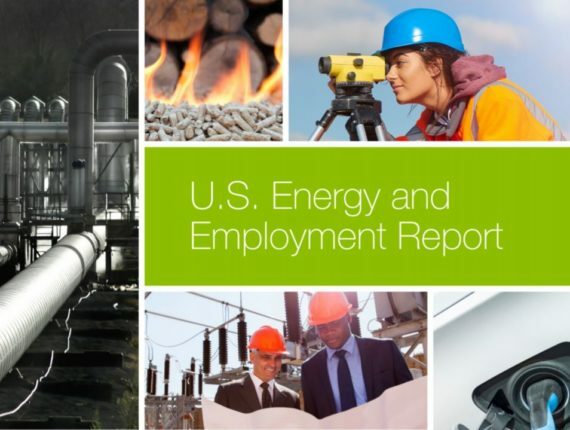 Without time shifting, utility companies still need to rely on fossil fuels like coal and natural gas for base load needs. With time shifting, the need for those base load plants disappears. Right now, grid scale battery storage is too expensive for wide scale use. It is perfect for special situations like remote locations that have no access to the traditional electrical grid like islands, but much too costly to carry the multi-terawatt load that powers homes and businesses world wide. Stanford professor Hongjie Dai and doctoral candidate Michael Angell think they may have a solution. The pair has created a battery whose main component is urea, a substance found in most fertilizers and the urine of mammals. The battery is nonflammable and contains electrodes made from aluminum and graphite, two materials that are inexpensive and readily available. It uses urea as the main ingredient in its electrolyte. Dai and Angell’s battery could provide a solution to the grid storage/time shifting problem. “It’s cheap. It’s efficient. 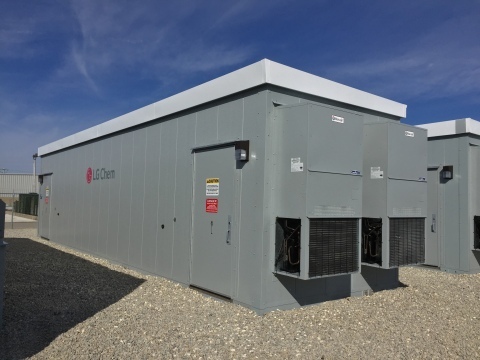 Grid storage is the main goal,” Angell said, noting the urea battery’s long cycle life. Dai’s lab was the first to make a rechargeable aluminum battery. That battery, created in 2015, charged in less than a minute and lasted thousands of charge/discharge cycles. It had one serious drawback, however. The electrolyte is used was expensive. The urea battery is about 100 times cheaper to manufacture. It is also non-flammable. Lithium ion batteries can ignite if they get too hot. “I would feel safe if my backup battery in my house is made of urea with little chance of causing fire,” Dai says. Dai’s research has been supported by the Department of Energy, The Global Networking Talent 3.0 Plan, the Ministry of Education of Taiwan and the Taishan Scholar Project. Sadly, further support by the Department of Energy is now in doubt, as anti-climate change fanatics have now seized control of the US government. 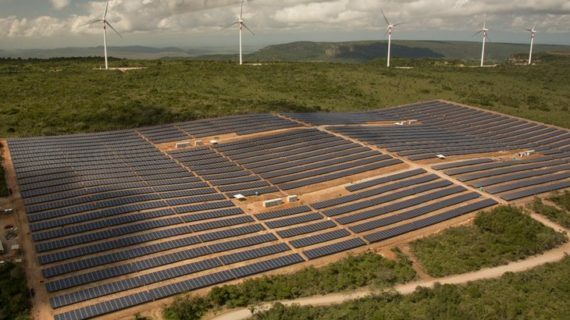 Italian utility company Enel has announced its subsidiary, Enel Green Power, will shortly commence construction of the largest solar power installation in South America — 292 megawatts. Located in Piauí in the state of Nova Olinda, the solar panel farm will cover 1,700 acres and will generate more than 600 gigawatt-hours of electricity a year, enough to power 300,000 Brazilian homes. It will eliminate up to 350,000 tons of carbon dioxide being spewed into the atmosphere every year. Enel was the winner of a solar energy auction in August, 2015. Before the auction, governor Wellington Dias traveled to Italy and Germany to learn more about solar energy products and encourage businesses to participate in the auction process. “This initiative is part of our project to work hard and produce what Brazil needs: energy, food, good services and generate jobs and income, making the economy grow. Piauí is ready for this task and we are working to increase investments and generate employment and income for the population,” Dias says. Enel’s manager for Brazil, Carlo Zorzoli, points out that the company intends to continue investing in the Brazil’s energy sector. “The Brazilian government has developed an attractive and well-structured auction process and we have built our success based on market leading technology, excellence in financing and reputation,” says Zorzoli. For Apple solar energy is serious business. 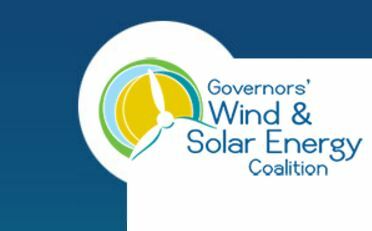 It is committed to operating all its stores, offices, and data centers with clean, renewable energy. This week, the company confirmed plans to expand the amount of installed solar power in the state of Nevada by 200 megawatts. The electricity will be used to power Apple’s massive data center located in Reno. The local utility, NV Energy, is a partner in the expansion. The deal includes the ability to sell up to 5 megawatts of any excess power generated by the new solar installation to other residential and commercial customers in the area using NV Energy’s grid infrastructure. Last year, Apple created a new entity called Apple Energy specifically to market any excess power its solar panels generate to other companies and individuals. That plan was approved by the Federal Energy Regulatory Administration. Apple’s vice president for environment, policy and social initiatives, Lisa Jackson, told the press after the announcement, “Investing in innovative clean energy sources is vital to Apple’s commitment to reaching, and maintaining, 100 percent renewable energy across all our operations. Our partnership with NV Energy helps assure our customers their iMessages, FaceTime video chats and Siri inquiries are powered by clean energy, and supports efforts to offer the choice of green energy to Nevada residents and businesses.” The time table to complete the new Apple solar energy installation is 2019. What Apple is doing in Nevada is in line with its efforts to use renewable energy for its operations in China. It currently has 200 megawatt of power online in that country which is used to supply its 34 stores and 19 offices in the country. The renewable energy eliminates 20 million metric tons of greenhouse gas pollution that would otherwise occur from Apple’s operations in China over the next 4 years.